Castle Comfort Stairlifts offers top brand stairlifts, keen prices and fast installs for all those seeking stairlifts in Norfolk. 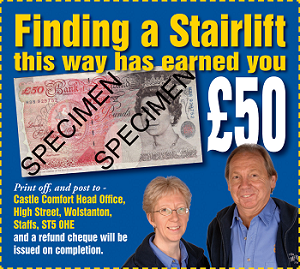 If you’re looking for a stairlift in the Kings Lynn area of Norfolk, then you’ve come to the right place. Castle Comfort Stair Lifts are happy to talk to you about our offerings from all UK manufacturers. In fact we’ve been talking to the people of Kings Lynn for almost 15 years – any of those who need help getting up and down the stairs whether through illness or disability or just old, tired limbs! We know that more than 200 of the town’s retired population already have improved their lives with a stairlift installed in their homes (see our scrolling counter on our website which shows the number of people who own stairlifts). It really improves independence and gives users a much safer approach to those stairs. If you’d like more information please call our local office on 01473 209069 . Kings Lynn sits just south of the Great Ouse River which feeds into one of the UK’s largest estuaries, The Wash. The town’s development started way back in the 10th century although nothing seems to be documented before the 11th century. A century on, St Margaret’s Church was built; commissioned by the Bishop who also granted a Saturday market which still happens today. Storms in the 18th century did a lot of damage to the church destroying the spire and the lantern. Although generous donations were made after the storm to a tune of some £1,000 it wasn’t enough to restore the church. The church houses 16 misericords, mainly heads (one represents the head of Edward the Black Prince); these were added in the 14th century. St Margaret’s Church is now protected as a Grade I listed building. Over the centuries Kings Lynn, affectionately referred to as Lynn by locals, became a thriving sea port. In fact during the 14th century it was the third most important port in England after Southampton and London. During the Middles Ages it was considered as important as Liverpool was during the much later industrial revolution. Kings Lynn’s Town Hall and Guildhall of the Holy Trinity was built in the 15th century and Trinity Guildhall; like St Margaret’s Church is one of Kings Lynn’s most prominent buildings especially noticeable for its chequered end. This is also a Grade I listed building. This building is the largest medieval guildhall still standing. Originally built for the wool trade it now houses the Red Barn Gallery and the Arts Centre even though at one time it was a weapon store. Another well-known Lynn landmark and Grade I listed building, the Custom House was built in the 17th century. No longer a customs house, it now houses the tourist information centre and a maritime display. In 1959 Campbell’s Soup Tower grew into the sky! As the land in the Norfolk Broads generally is flat, this tower could be seen for miles! Its erection was due to Campbell’s International expansion and Kings Lynn was the site of their first factory in the UK. During its peak it employed more than 700 people. In January this year (2012) the tower was demolished. The person to ‘press the button’ was competition winner Sarah Griffiths; her father had died in an accident at the factory some 17 years earlier. A crowd of 3,000 witnessed the tower’s destruction. How bizarre. The Red Mount, a tiny chapel, was built in the 15th century and has a roof likened to the one on King’s College chapel in Cambridge. According to legend, a drunken fiddler entered a secret tunnel that links the chapel to nearby Castle Rising. The fiddler had his pet dog with him and has never been seen since. 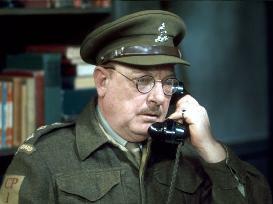 Rumour has it that he can still be heard playing his fiddle with his dog whimpering to get out! Nearby this Norman Keep stands inside hill fortifications and dates back to 1140. Built by Edward II for his wife Queen Isabella also known as the ‘she-wolf of France’; she consented to her husband’s murder and went mad here. Apparently her shrieks can still be heard ringing out from the castle walls. In the 19th century Queen Victoria purchased Sandringham House and Estate just 7 miles from Kings Lynn for the Prince of Wales, later Edward VII. This is one of the Royal Family’s privately owned estates along with Balmoral. This 20,000 acre estate is one of the Queen’s favourite homes; it is where her father died in 1952. She spends the anniversary of his death and her accession their every year. This year of course she will be celebrating 60 years as our Queen. And in a house on the Sandringham Estate, Park House in 1961, Diana Spencer, later to become Princess Diana was born. Diana grew up here and often played with Princes Andrew and Edward when she was a child. 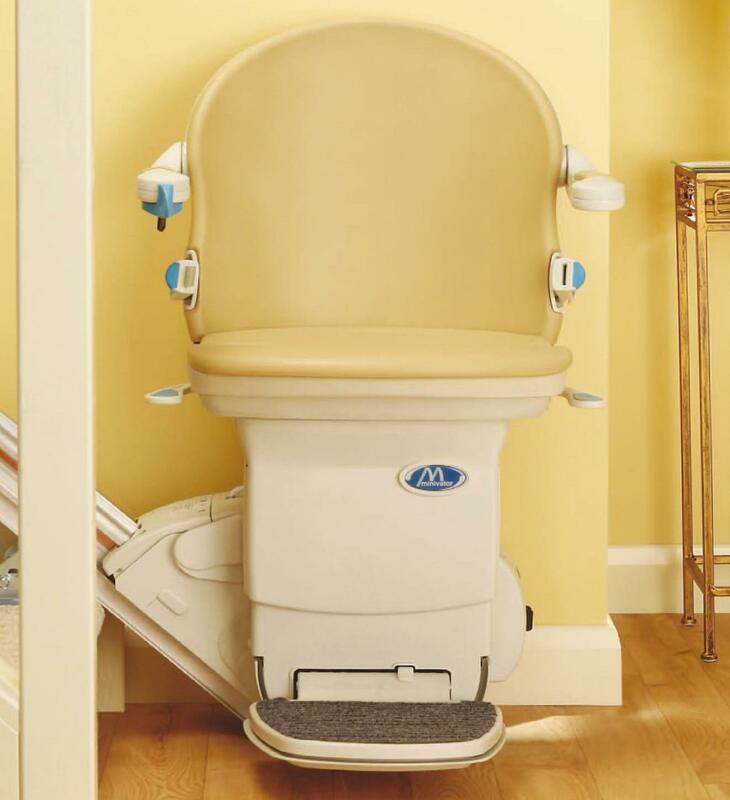 As you can guess here at Castle Comfort Stair Lifts we know all there is to know about stairlifts and we’re more than happy to pass that knowledge onto you. We can supply and install a chairlift for you almost instantly! We have straight stairlifts, curved stairlifts to accommodate differing staircases and even perch stairlifts for those of you who can’t bend your knees. Of course we also have renovated stairlifts too which come in a little cheaper. 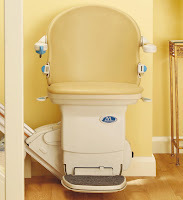 Checkout our stairlift comparisons and stairlift prices on our website. If you need some assistance with the costs please check out whether or not you are eligible for a FREE stairlift or if a grant is available or even a 0% finance option. Remember we can have you mobile again in no time. Please give us a call for more information or to book an appointment for an assessment 01473 209069 .